The Isonychia soft hackle is an excellent pattern to fish during an Iso hatch, and for me it’s a pattern that I will swing, even through rising fish.For those of you in our New City group, This was one of the patterns that we discussed and tied during our meeting on July 26, 2016. 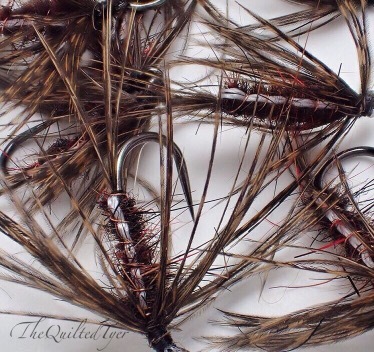 Tailing and hackle: Whiting’s Hebert Miner Wet Fly Hackle in Wild type Brown. Dubbing: A mix of red and brown SLF squirrel dubbing as well as guard hairs taken off of a squirrel skin. 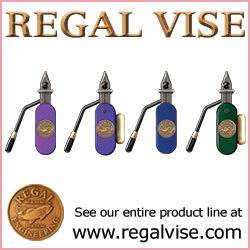 If you are looking for a substitute for the wild type brown, please see the post here. With the tailing in place, tie in your white thread at the base of the shank. Tie in your gold wire at the base of the shank as well, to the side of the white thread. Next up is dubbing and SLF squirrel has got to be my favorite. What I do for this pattern is I take a mixture of red and dark brown SLF and I mix them together. I then snip a patch of guard hairs off of a full squirrel skin and mix them in. This will give you a good reddish-brown mix but be sure to adjust this based on the Isonychias in your area because colors always vary. Using your dubbing, create a dubbing noodle. Start dubbing your hook shank, stopping about 1/4 of the way behind the eye, ensuring that you leave enough room to tie in and wrap the hackle. Once you have dubbed the body it’s now time to create the visible stripe that goes along an Isonychias natural nymph body and rib it with wire . You will do this by Bringing the white thread forward, then using your finger nail it to hold it down as you tie it in with a wrap. Now its time to select, prepare and tie in your hackle. Prep your hackle before tying it in. Tie it in by the tip. Hold the hackle verticle and begin wrapping. Dont forget to pull back the fibers with each wrap. 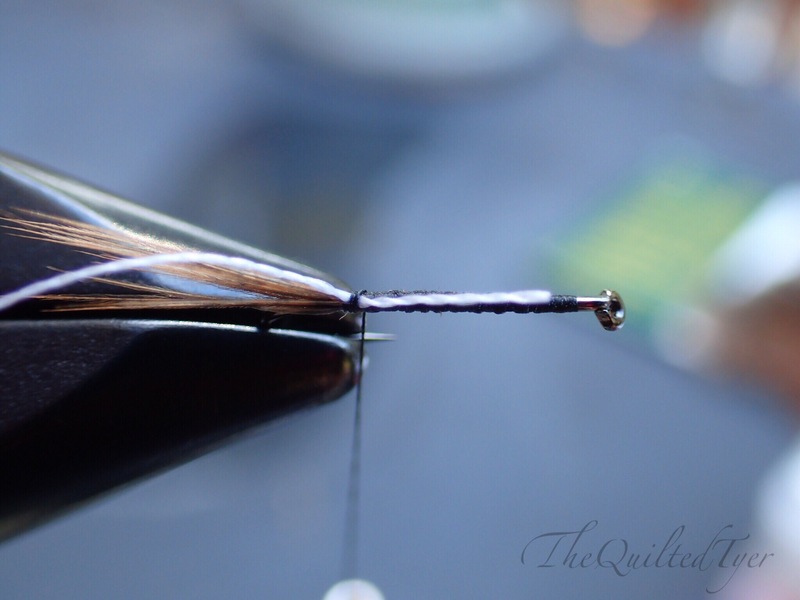 Once your hackle is wrapped, you can whip finish and your fly is complete! A few turns and your done! That’s it! I hope this pattern brings you luck! I like to fish this one on an upstream cast and then a lift at the end of your swing. If they are taking them on top as well, feel free to add some dry fly floatant to these and fish them right in the film. It has caught many trout for me that way.